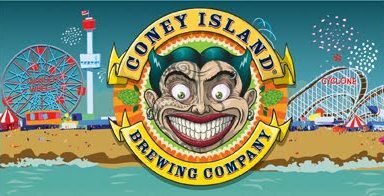 coney(Burlington, VT)– Alchemy & Science announced today that it has acquired all rights to the Coney Island craft beer brands. Alan Newman, president of Alchemy & Science, a craft beer incubator based in Burlington, Vermont and Jeremy Cowan, founder of Shmaltz Brewing, whose brands included Coney Island, made the announcement. Jeremy Cowan founded Shmaltz Brewing in 1996 starting with He’brew Beer. Shmaltz launched the Coney Island brand in 2007. As part of the transaction, Jeremy will be joining Alchemy & Science in an advisory capacity to assist with the Coney Island brands. He’brew Beer is not part of this deal and Jeremy will continue to own and operate both the He’brew brand and his new brewery in upstate New York. “Jeremy is very excited to join us and be an important part of the future of Coney Island brands,” said Alan Newman. “We are thrilled to collaborate with him to build on his hard work. He is a talented brewer with a flair for eye-catching branding. And personally, I am thrilled to re-visit my youth spent in Coney Island” concluded Newman.